Fresh baked bread just out of the oven. 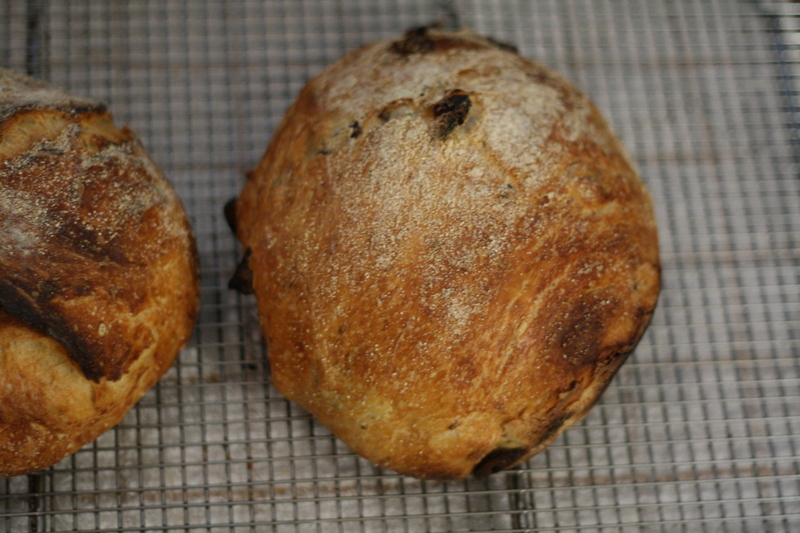 The one on the right is kalamata olive bread. On the left is crusty white bread. 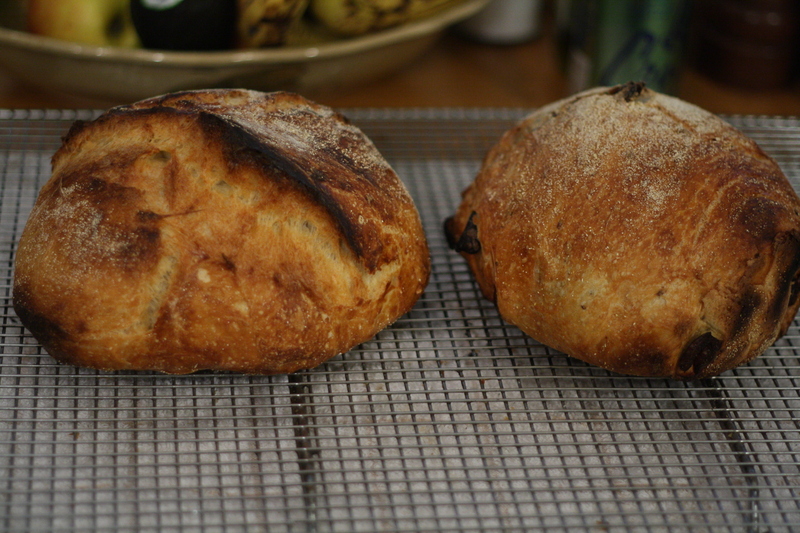 The crust turned out really well. There are a few dark spots which give it some character. I am bringing it to my business partner. We are looking at a few sites in San Gabriel Valley and are hoping to get a restaurant opened in the next few months. Keep you posted.